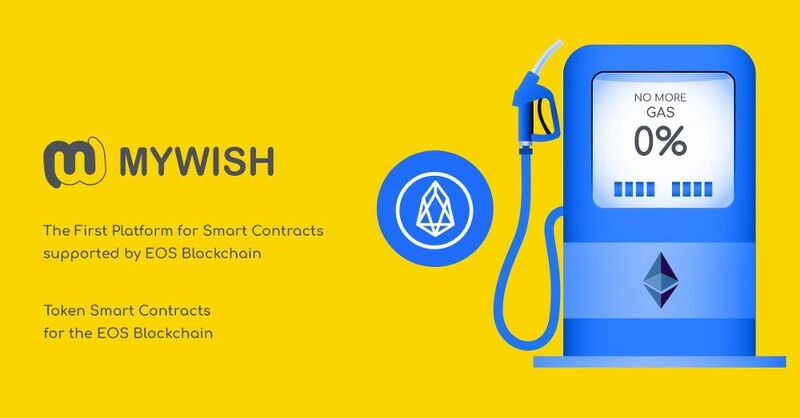 MyWish Creates the First Smart Contracts Supported By EOS Blockchain. Blog / MyWish Creates the First Smart Contracts Supported By EOS Blockchain. What is the Token Smart Contract? The Token Smart Contract is supposed to be used for creating a personalized cryptocurrency. This, in turn, is used for running your own ICO or any other blockchain project. Personalized cryptocurrency could also be used for sale, distribution or crowdsale programs. The platform gives you a huge opportunity and all the rest is just a matter of your crypto potential. The ball is in your court. Real talk. Why should you choose to create Tokens on EOS over any other blockchain? Right after you create the Token Smart Contract on EOS Blockchain, you need to be prepared for the fastest possible speed of the transactions’ execution. That has a potential to scale to millions of transactions per second. DPoS (Delegated Proof of Stake) modification is responsible for the instant transfer of your cryptocurrency. Whatever the reason for you creating your own Token Smart Contract hosted on EOS, you will definitely save money. EOS requests no gas for your transactions. You don’t have to know any programming skills to write a complex code for your Smart Contract to automate and secure your activities on the EOS Blockchain. The MyWish Smart Contract Platform has your back! The price for a Token Smart Contract is 4800 WISH (0,99 ETH). This is the price for the most secure way of using your tokens: share them with your devoted community, distribute to small investors of your project or exchange for product creation or buying any service. How to create a Token Smart Contract specially designed for EOS blockchain? You can easily learn how to do that by creating a test version for the Token Smart Contract on EOS. We keep the test version available for anyone who needs it. People need to be more educated on the subject smart approaches to crypto projects. Crypto is no longer a digital dream, welcome to reality. STEP TWO: Choose blockchain. It’s time for the EOS. Token Smart Contract. Enter the Token symbol which usually consists of 3–4 capital letters, but it’s still up to you up to 7. Examples: Waves, BTC. Keep in mind that there is a limit to the amount of tokens you can create. Happy Crypto End. Real Token Smart Contract will be deployed in 15 minutes.